One magical night, the Darling children­­––Wendy, John, and Michael––are visited by two mischievous denizens of Neverland, an island of the imagination where pirates prowl the Mermaids' Lagoon and fairies live so long as children believe in them. Peter Pan and his loyal, lightning-quick companion, Tinker Bell, have come for Peter's shadow, captured the previous night by Nana, the children's Newfoundland nanny. The pair leaves not just with the shadow, but with Wendy and her brothers, as well, whisking them away to Neverland to join the Lost Boys in their war against the evil Captain Hook. 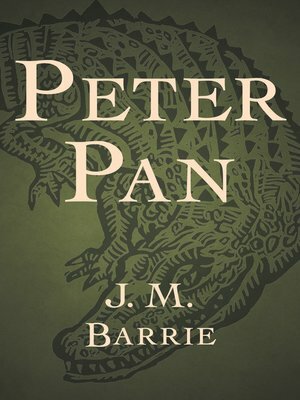 J. M. Barrie created the character of Peter Pan to entertain a young family he regularly met in Kensington Gardens. Over the course of two novels and a play, he turned a whimsical idea into one of the most cherished literary characters of all time.